is a FREE print-and-play game. It's for 1 to 10+ players. 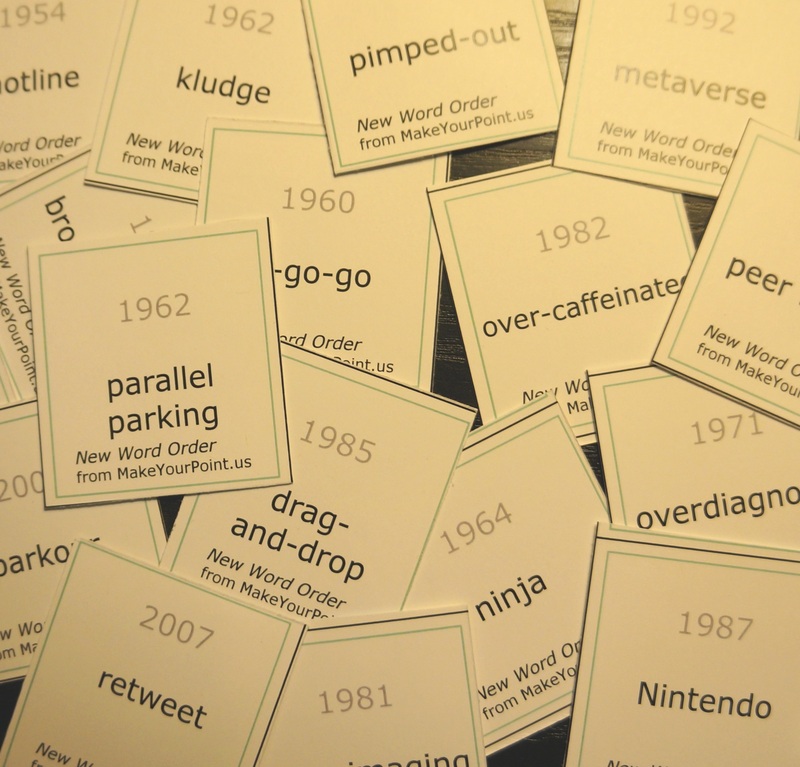 To play, you consider several words and phrases, and determine the order in which they entered our language. Share this game on Facebook.